There are so many sports drinks out there on the market today touting both performance-enhancing and recovery-enhancing benefits. And while I love that these products get people to hydrate more (it’s so critical), I can’t say I’m thrilled about the list of ingredients that comes with many of these products. Some of them are loaded with artificial food dyes, sweeteners, and other things I can’t pronounce. 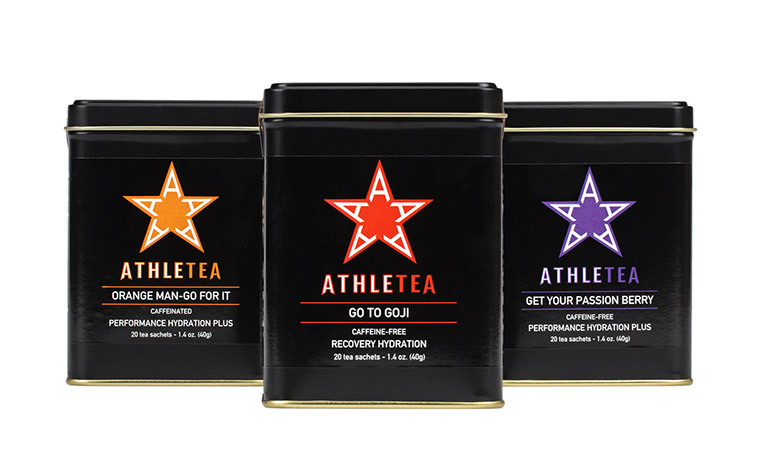 But given that I’ve been known to enjoy a few cups of tea each day, the idea of this new line of performance hydration teas called AthleTea was super intriguing to me. These teas are the brainchild resulting from a collaboration between Harney & Sons (a luxury tea company) and AthleteMinder (a mental strength and conditioning platform). 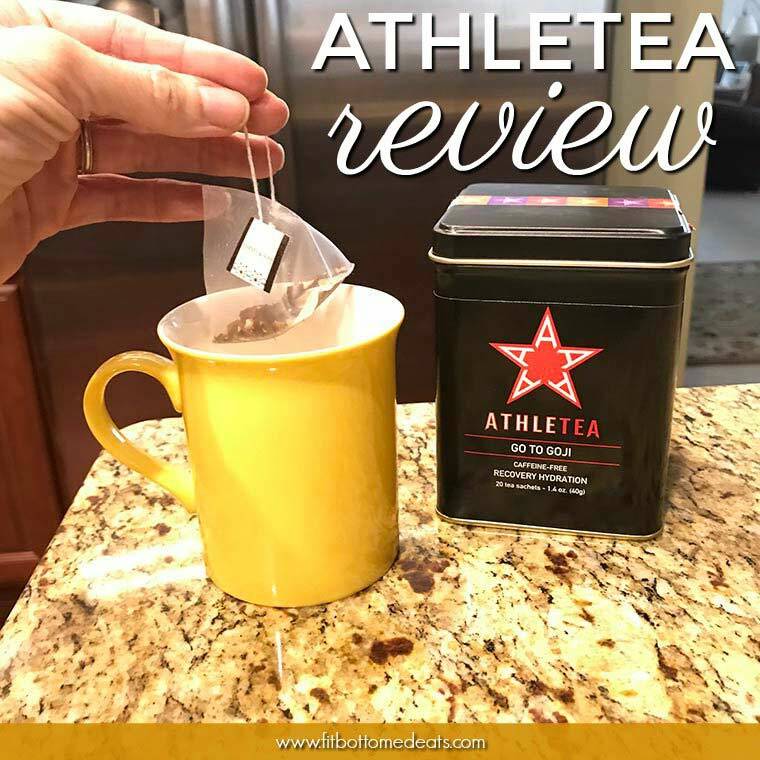 AthleTeas were created to be a new smart performance hydration option, using tea-infused beverages that contain electrolytes and antioxidants. You’ve got three flavors to choose from, and they sent me samples of each to try: Orange Man-Go For It (caffeinated), Go To Goji (caffeine free), and Get Your Passion Berry (caffeine free). Orange Man-Go For It and Get Your Passion Berry are designed for performance hydration to support energy, focus, and readiness through your athletic endeavors. Go To Goji is a recovery hydration formulation specially blended to be soothing and anti-inflammatory. Each is produced in small batches with high-quality ingredients. I tested all three flavors. Full disclosure: I’m not typically a fan of fruity teas as they often taste a little perfumey to me. But I was pleasantly surprised to find that these really didn’t taste that way at all. All three flavors were very clean and smooth with no potpourri-like aftertaste. First hurdle … cleared. Then, it was time to read the ingredients. ORANGE MAN-GO FOR IT: Rosehips, hibiscus, yerba mate, guayusa, ginger root, orange peel, mango pieces, turmeric, beet root, marigold, safflowers, himalayan salt, and natural flavors. GO TO GOJI: Rosehips, rooibos, hibiscus, ginger root, apple pieces, licorice, goji berries, orange peel, lemon peel, and natural flavors. GET YOUR PASSION BERRY: Apple pieces, hibiscus, rosehips, orange peel, beet root, black currants, lemon peel, spearmint, peppermint, and natural flavors. All things I can pronounce … well, with the exception of guayusa but at least I know what that is (FYI it’s a caffeinated holly tree used to make — you guessed it — tea). AthleTea also gets bonus points for presentation. Their unique tea sachets certainly felt high-end and special. While I can’t really say whether these teas actually helped me perform or recover better, they did offer me a great way to hydrate more without adding a ton of fake crap and sweeteners to my daily intake, which is absolutely a plus. So yeah, I see myself making good use of these teas — I’m actually sipping some as I write this — but, I gotta tell ya, it would be hard to pick a favorite. If you twisted my arm (why would you do that? ), I’d have to give the edge to Go To Goji but the other two flavors aren’t far behind. You can grab a canister for yourself for just $10.